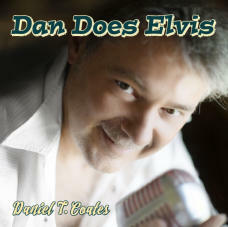 15 Elvis hits and 2 Coates original songs for the King! 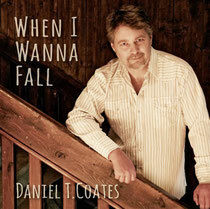 Daniel T. Coates's 2014 CD When I Wanna Fall includes original songs as well as covers Dan performs live. The title song, When I Wanna Fall is one that you won't get out of your head or your ear! People Are Crazy and Layla were recorded with upright bassman Gabor Bardfalvi and recreate that duo sound that has become so poplular . 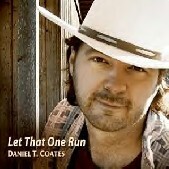 When I Wanna Fall, Maybe She'll Dance With Me, Lorena, Good Night To Fall In Love, Thinkin `Bout The Girl, There's A Road and Dangerous are Coates` Originals, composed and recorded with Dan's band in the Spring of 2014. Ricky Skaggs`country-classic hit Crying My Heart Out Over You with Germany's most tasteful Steelguitarist Didi Waechtler is an example of pure country ala Coates. Fiddler Mark Stoffel (Shady Mix Band) and Banjomaster Obi Barthmann get to shine here as guests on several tracks. Bluegrass Fans will be pleased to hear Another Town, (JDCrowe und Keith Whittley). Two George Strait hits Cheyenne and Easy Come, Easy Go are presented here virtually as unplugged versions. 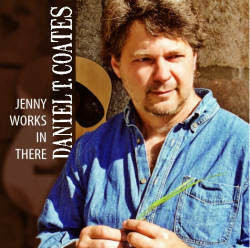 Choices und Treat Your Man, which were hits for the "other George" George Jones are fresh versions of these excellent charttoppers to which Daniel T. Coates and his pickin' pals breath new life. Rockabilly Fans ATTENTION! JD Mcphersons Northside Gal with Gabor B's Slapbass and Dan's fat guitar Sound are finally on vinal...well on cd. Three of Dan's drummers set the beat strait: Clemens Schirmer who helped design a percussion heavy version of the CCR tune Down On The Corner and in memory of Phil Everly Wake Up Little Susie, Andy Kupfer und Klaus Schoenauer. A few bonus tracks included: rowdy studio-live recordings of Low and Lonely and Honey! Check out all 22 Songs on WHEN I WANNA FALL listed here. 22 songs for faithful fans to celebrate 40 years playing music. This is Dan's ninth album since 1994. (before that were records and cassettes...remember them) . CD BESCHREIBUNG AUF DEUTSCH! 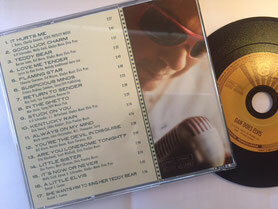 Jede CD €15 inklusive Porto und Versand. ONLINE bestellen per email! Just email us your address and tell us what CDs you want. SEE THE BIG MAN CRY and the Bluegrass classic BLUE VIRGINIA BLUES. 15 Songs. Recorded in Nashville, TN. Terry Crisp on Steelguitar (Ricky Skaggs and Joe Nichols), Jack Gavin on Drums (Charlie Daniel’s Band) Paul Kramer, Mandolin and Fiddle, Markus Stadler Banjo. Features the favorites from Dan's live program: HOUSE ON THE HIGHWAY, I DON'T LISTEN TO MY RADIO and COLORBLIND. 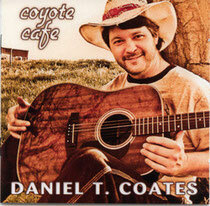 15 of Dan's own songs and his only CD with exclusively originals. Sort of a theme album placed in the midwest with waitresses, coyotes and smalltowns. Nashville steelguitar legends Mike Johnson (Brad Paisley) and Bobbe Seymour. Fiddler Paul Kramer (Travis Tritt Band) and Dave Roe (John Cash und Dwight Yokum Band). Musicvideo "Laura Jean" included. und Dave Roe (John Cash und Dwight Yokum Band). Beinhaltet einen Multimedienteil!